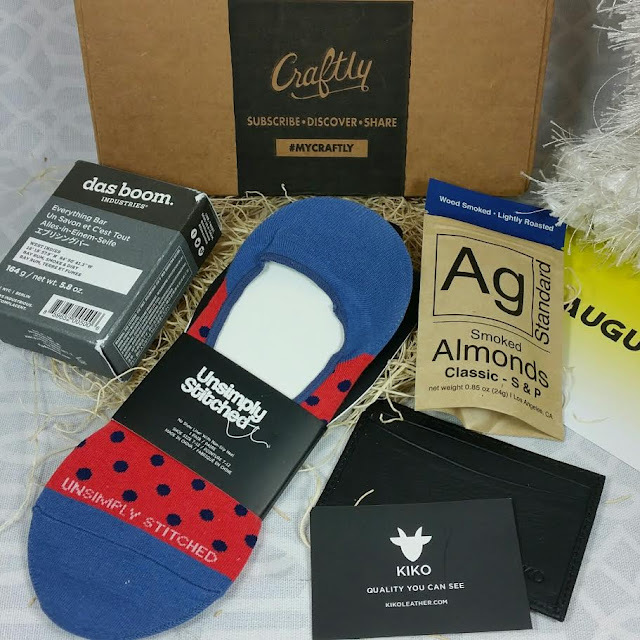 Craftly sends full size, high quality items ranging from handcrafted goods from independent artists or snacks and tech products from small businesses and brands. The variety is very wide ranging and unisex so everyone can get a dose of happy mail every month. This month was geared more toward guys which is fine because my husband is one. 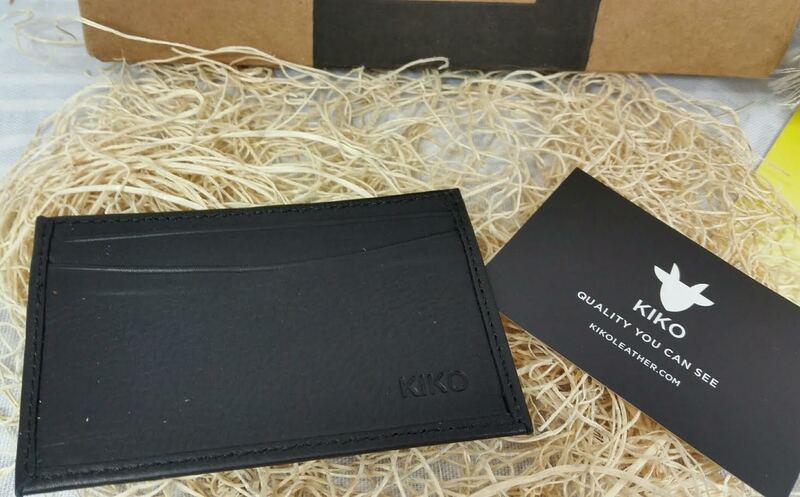 Kiko Leather Classic Card Case- This is a buttery, soft leather card case with two pockets. I can't stop touching it. So, so soft. I actually have been wanting a card case but have been to lazy to actually take the time to get one so this is perfect. It will be well loved. 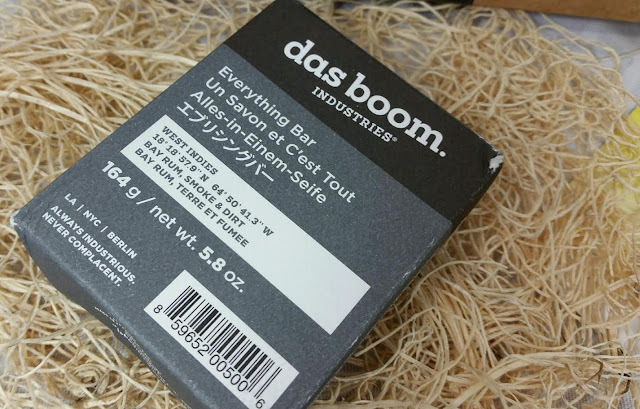 Das Boom West Indies Bar Soap- My husband loves this brand and he has a lotion in this scent. He's going to be pretty happy to see this because he won't have to use my girl smelling soap in the shower. 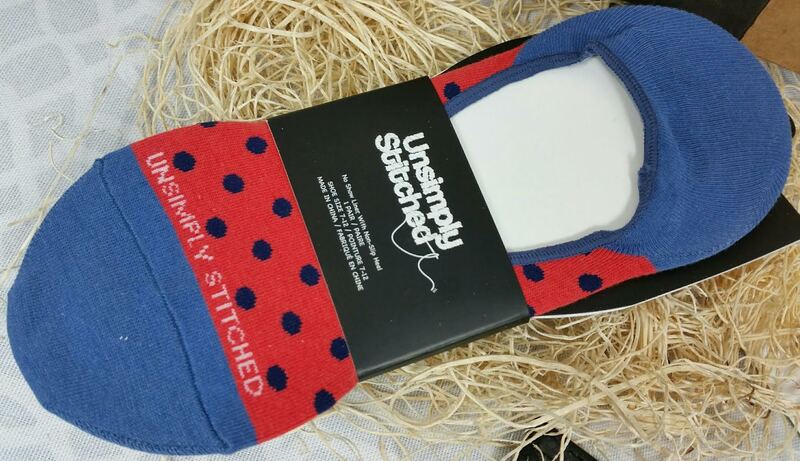 Unsimply Stitched No Show Socks- Socks!! Socks are always welcome in my house. These are different from any pair I currently have. There are some rubber grippy bits on the inside of the heel so it doesn't slip off! I'm going to have to see how well that works. 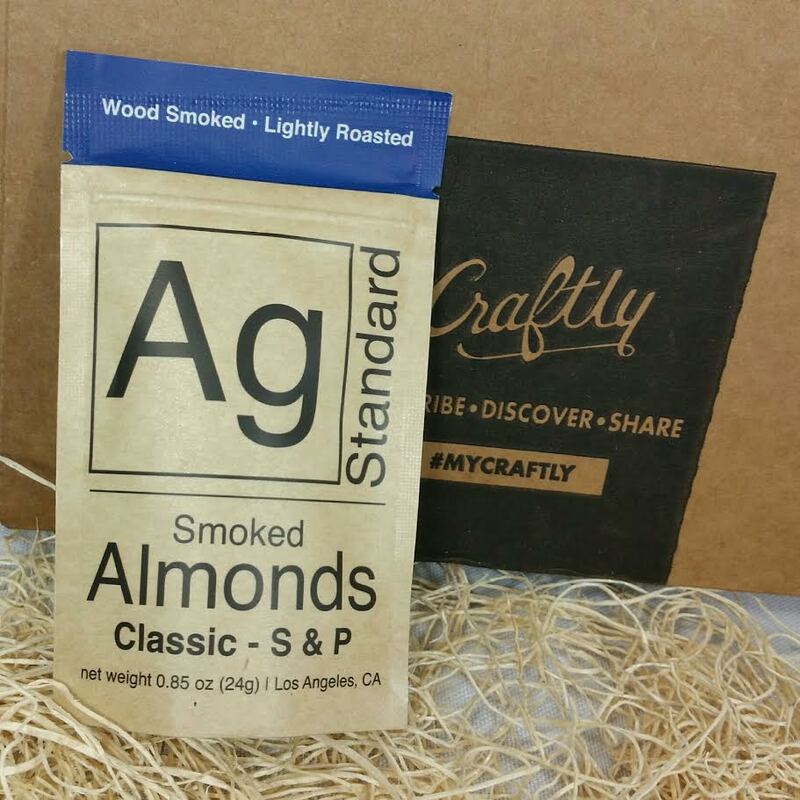 AG Standard Classic Smoked Almonds- A little bag of smoked, dry roasted almonds from California. VERDICT: This is great subscription to gift because the contents are so varied. I do think that it might be more appropriate for a guy. Let's face it, there's a million girly boxes out there to pick from to send but when it comes to guys, the pickings are slim. I think it would be perfect for a young college student.